Criticism is a part of life and you can’t impress and please everyone, especially when it comes to business. You may think your business is perfect but there will always be people who will think the food at your restaurant is too expensive, or your flower shop doesn’t sell enough exotic flowers. It’s human nature to complain, however when it’s about your business then bad reviews, complaints and negative feedback can have a serious effect. According to Vendasta, 92% of consumers read reviews online, therefore consistently receiving complaints and negative feedback online can have an impact on your small business. Here are some tips to help you deal with complaints and negative feedback in order to mitigate the effect on your business. If you have received complaints or negative feedback, whether that is online or in person you must respond. Avoiding and ignoring the issue will only escalate the problem, therefore deal with it as promptly as you can. If the complaint is made in person, then it’s better to resolve the matter there and then, as it will calm the situation. Sometimes it can get heated, so make sure to remain calm and try to diffuse the situation by acting and responding accordingly. When a complaint is being made, don’t try to deflect from taking responsibility. If you avoid taking responsibility or blame somebody else, it will only make matters worse. Whether it was you personally or one of your employees, you need to take the blame and apologise. Human errors are natural, however it’s how you deal with those errors and issues that will define your business and service to customers/clients. When you first start your business and receive your first round of negative feedback or complaints, you may take it personally. However, you need to separate the business from yourself personally, to avoid having your confidence crumble. If you take the negative feedback personally, you are likely going to get defensive and create a bigger issue. Therefore, take time to listen to the complaints and act upon them. Growing a thick skin will be beneficial as you will need it to deal with negative comments along the way. It’s natural to get defensive; your business is something that you are proud of because you have created it from nothing. But you have to proactively remind yourself not to, because negative reviews and complaints from customers can drive people away from your business. Therefore, make sure you try your best to keep all customers happy throughout their experience with your business. Most business owners will tell you that it’s better to resolve complaints by overcompensating than letting them tarnish your reputation, so you should make sure that you have a strategy in place to deal with complaints. For example, if you get a complaint about the food arriving late in your cafe, then you might want to offer a discount to your customer to keep them happy. It is absolutely paramount that you deal with your complaints in a professional manner. How you deal with customers and respond to complaints will reflect on your business, so you need to make sure that your staff are also trained on how to deal with issues. One bad day can ruin the reputation of a business, therefore make sure that your team are prepped to deal with any customer complaints. On the whole, the above tips are the best way to deal with negative feedback and complaints, however on some occasions you may find that you actually have to take a stand. If a complaint is being made about something which is completely unwarranted then you might feel the best action to take is actually confronting the customer about it. If you are going to do this, the best way to deal with an unreasonable review is by responding with facts, proving the review was false and unwarranted. On certain occasions this kind of response is needed to save the business from getting a bad reputation. Every review and complaint will be different and you will need to assess the situation in order to respond in the best way. However, if you are consistently getting complaints about the same things, then you will need to look at the business and implement some changes. 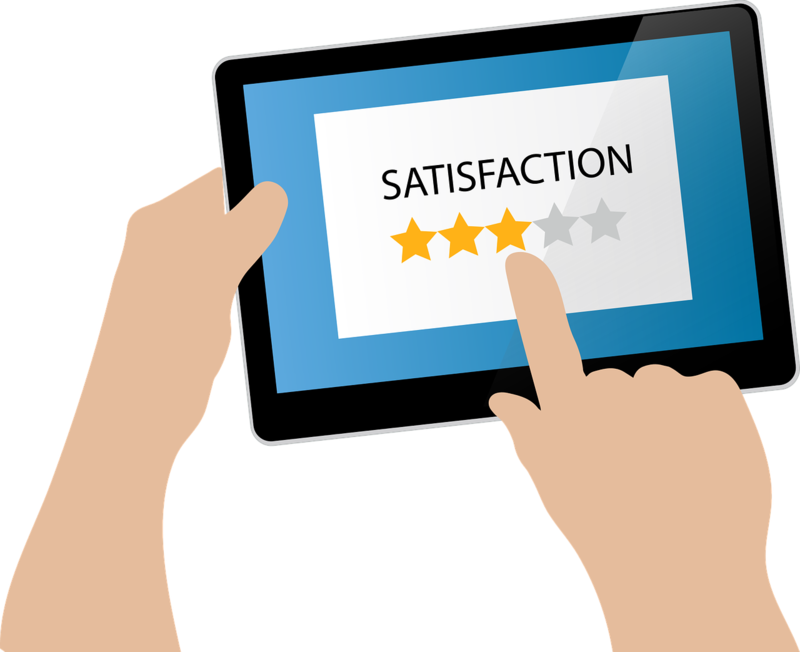 Take the opportunity from reviews to make improvements and get a general consensus of how people feel about your business. More on customer service and growing your business.